Best Choice Deliveries is a nonprofit mutual benefit corporation in Covina, California. They offer medical marijuana delivery service. Their extensive menu includes many of the award-winning Californian strains, as well as edibles, concentrates, topicals and prerolls. At Best Choice deliveries they take great pride in what they do, their friendly staff is knowledgeable about their strains and always happy to educate their customers. 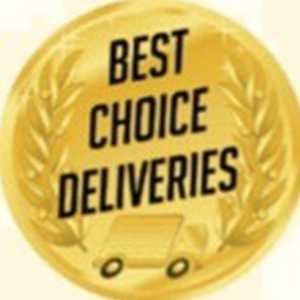 Best Choice Deliveries are known for their amazing selection of meds, knowledgeable staff, punctual delivery service, and the prices are spectacular. Best Choice Deliveries is currently delivering to Azusa, Covina, Glendora, San Dimas, West Covina, Baldwin Park, La Puente, El Monte, Temple City, Arcadia, Rosemead, Monrovia, Duarte, Bradbury, Sierra Madre, Irwindale, Walnut, Rowland Heights, Hacienda Heights and Diamond Bar. First time patients will receive a free edible or half gram of strain of their choice. I have been using Best Choice for years and they have not failed me yet. They have the best Skywalker I have ever smoked in my life. Hands down the best. Nothing tops best choice.